Overseas student numbers part of a "political target"
HEi-think: What is the government's problem with international students? The latest parliamentary exchange between MPs and Prime Minister Theresa May over net migration targets and international students sheds some light on the government's position, says Mike Ratcliffe, Oxford-based university administrator and Director of More Means Better. Paying close attention to the student experience is as important for online learning as it is for campus-based courses, according to Julie Stone, Director of the University of Derby Online Learning (UDOL). HEi-think: What do international rankings really tell us about university quality? Professor Ellen Hazelkorn, Policy Advisor to the Higher Education Authority (Ireland) and Emeritus Professor and Director at the Higher Education Policy Research Unit (HEPRU), Dublin Institute of Technology, responds to a new highly critical analysis of global university league tables from Bahram Bekhradnia, President of the Higher Education Policy Institute. Global rankings of universities suffer from major flaws and should be largely ignored by governments, institutions and students, according to a new report published by the Higher Education Policy Institute. The UK’s decision to leave the European Union has damaged its reputation among EU members, according to early findings from a British Council survey. 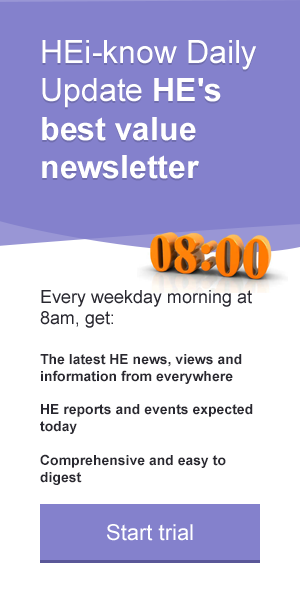 HEi-think: Implementing Stern - how will REF2021 shape up? As the Higher Education Funding Council for England launches its long-awaited consultation on the second Research Excellence Framework planned for 2021, Professor Nick Talbot, Deputy Vice-Chancellor for Research and Impact at the University of Exeter, examines some of the key issues it raises. The Higher Education Funding Council for England has announced a new £60 million programme to increase participation in higher education across England. The University of Leicester is launching what it describes as a unique scholarship scheme that aims to boost the number of medical school students from disadvantaged backgrounds. Refugees and asylum seekers present universities with particular challenges in relation to applications and widening access. Ima Jackson , Lecturer in Health and Life Sciences at Glasgow Caledonian University , considers the significance of new guidance on the issue from Universities Scotland. Lord Norton of Louth outlines the thinking behind a new parliamentary-led inquiry he is chairing, launched by the Higher Education Commission, to investigate innovation in alternative models of delivering Higher Education. A new parliamentary-led inquiry conducted by the Higher Education Commission is to investigate innovation in alternative models of delivering Higher Education. As the Office for Fair Access publishes a report on new tools for evaluating the impact of financial support for students on efforts to widen access to HE, Dr Colin McCaig, Reader in Higher Education Policy, Sheffield Hallam University who led the research team for developing the tools, outlines the basis of the study. The Department for Education has been challenged over its "unprecented refusal" to publish details of teacher training allocations for next year. Leicester National Space Centre - could new R & D cash benefit space science? As the higher education sector welcomes news of an extra £4.7 billion for research and development announced in the Autumn Statement last week, Professor Martin Barstow, Pro-Vice-Chancellor for Strategic Science Projects and Director of the Leicester Institute of Space and Earth Observation at the University of Leicester, examines some of the key questions outstanding over the funding. Publication by the Department for Education of new data on graduate outcomes, including employment, earnings, and further study, is useful -- but the statistics still suffer from limitations and must therefore be handled with care, warns Alan Palmer, Head of Policy and Research for MillionPlus. HEi-think: Why should universities be sustainable? As People & Planet publishes its latest green university rankings , Grant Anderson, Environmental Manager at Nottingham Trent University, sets out reasons why achieving sustainability goals makes sense for universities at every level. Universities UK has announced that Professor Janet Beer, Vice-Chancellor of the University of Liverpool, will be its next president. As International Students Day and the British Council's International Education Week turn the spotlight on overseas students, Vivienne Stern, Director of Universities UK International, considers what more UK universities could be doing to better support them. The government has outlined how it intends the new Office for Students and UK Research and Innovation body working together amid concerns over their creation leading to a disconnect between teaching and research. A new Office for Students would have the right to ask universities for numbers and details of the offers they have made to students, broken down by ethnic and social background as well as gender, under amendments put forward by the government to its Higher Education and Research Bill. As the Higher Education Funding Council for England announces that thousands of new degree apprenticeships are to be created through a new £4.5 million development fund, HEi-know examines the rise of the degree apprenticeship and its significance for higher education and students. Engineering departments in non-Russell Group universities in the UK are reporting widespread falls in the number of overseas students following the UK's EU referendum vote, according to a survey by the Engineering Professors’ Council. As inventor James Dyson unveils plans to open a new Institute of Technology next year, Higher Education Policy Institute director Nick Hillman responds to claims from universities minister Jo Johnson that the new institution represents a wake-up call for the HE sector. The UK’s Minister of State for Universities, Science, Research and Innovation, Jo Johnson MP, and Colombia’s Minister of Foreign Affairs, María ángela Holguín, have signed a Mutual Recognition of Degrees Agreement on behalf of their governments. New pressures affecting the financial health of higher education institutions in England could leave the sector facing a net debt approaching £4 billion, funding chiefs have warned. The UK government has announced that EU students applying for a place at an English university or further education institution in the 2017 to 2018 academic year will continue to be eligible for student loans and grants - and will be for the duration of their course. Universities need to develop the digital skills of all staff - not just a few specialists - to promote teaching excellence, a new report has concluded. Professor Craig Mahoney, Principal and Vice-Chancellor of University of West of Scotland, considers the potential damage Home Secretary Amber Rudd’s proposed student visa restrictions could cause the higher education sector. The government's proposals for the outcome of Teaching Excellence Framework metrics and assessments to be represented with the award of bronze, silver and gold status are fundamentally flawed, argues Dr Mike Hamlyn, Director Academic Enhancement at Staffordshire University. A Liberal Democrat peer is calling for a campaign to boost the number of female professors and vice chancellors in the UK’s universities. The Royal Society and British Academy have launched a joint project to examine how best to harness new and up-to-date research methodologies, using the latest technologies, big data and interdisciplinary approaches, to improve educational outcomes for young people in the UK and internationally. Professor John Leach, Pro Vice-Chancellor at Sheffield Hallam University, who is a member of the working group for the project, explains why it is needed. The Higher Education Funding Council for England has appointed members to the Teaching Excellence Framework (TEF) panel, including academics, students, employers and widening participation experts. As the Higher Education and Research Bill resumes its passage through parliament, Professor Chris Husbands, Vice-Chancellor of Sheffield Hallam University and Chair of the Teaching Excellence Framework panel, outlines the thinking behind designing the TEF and the challenges and opportunities this presents. The University of Worcester has been shortlisted for the Times Higher Education’s University of the Year award. A study of student well-being has found that social and emotional factors play a strong role in the overall student experience and satisfaction levels. As Unite Students launches the findings of a new study on the social and emotional factors that affect the student experience, its chief executive Richard Smith explains the thinking behind the research. Technicians, laboratory assistants, administrators and facilities management staff working in universities across the UK have been balloted for industrial action in protest over a 1.1 per cent pay offer. Universities will be drilling down into the detail of the latest National Student Survey results and weighing up the impact they are likely to have on the Teaching Excellence Framework, says Dr Mike Hamlyn, Director Academic Enhancement at Staffordshire University. An increase in empathy towards international students and enhanced confidence are some of the most positive impacts of study abroad, according to a British Council report that surveyed a sample of UK students in higher education. Universities and science minister Jo Johnson has told universities it is “business as usual” for projects currently funded by the European Union’s Horizon 2020 research and innovation programme, and that they should “continue to bid for EU research funding with confidence”. The proportion of school pupils who are planning to go to university has risen over the past 13 years, but half of them today worry about the cost of higher education, a poll by the Sutton Trust has found. HEi-know provides a two minute summary of the survey's key findings. Universities should be allowed to charge up to £27,000 for two-year “accelerated” undergraduate degrees, the UK’s competition watchdog has suggested. As the sector comes to terms with Brexit, HEi-know gathers views from HE leaders on how institutions, academics and students are likely to be affected. Evidence of discrimination towards British universities and academics following the referendum vote is being collected by the government so “appropriate steps” can be taken. The passage of the Higher Education and Research Bill through parliament should be paused and its proposals re-considered in light of the impact of Brexit on the sector, the chair of the House of Commons Business Innovation and Skills Committee has said. The work of clinical academics provides an essential bridge between research hubs in universities and clinical practice, but recent surveys by the Medical Schools Council shows their numbers are in decline. Medical Schools Council policy adviser Siobhan Fitzpatrick argues that continuing support is needed to address the issue. Universities Minister Jo Johnson has sought to reassure the higher education sector over the implications of Britain’s referendum vote to leave the European Union. Universities in Britain face "significant challenges" following the nation's vote to leave the European Union, the President of Universities UK has warned. As the UK votes to leave the European Union, Academy of Social Sciences/Campaign for Social Science senior policy adviser Ashley Lenihan, and Sharon Witherspoon, acting head of policy, assess the likely impact on the social sciences. The Higher Education and Research Bill has significant implications for HE in Scotland and Wales and the way the different HE systems across the UK compare and relate to each other. HEi-know talks to Scottish and Welsh HE leaders who are calling for the issues to be addressed as the Bill makes its way through parliament. The government’s approach to teacher training is “incoherent” and must be reviewed urgently, according to a report by MPs. As the Office of the Independent Adjudicator for higher education publishes its annual report, the new OIA chief executive Judy Clements says that while the number of student complaints has fallen to its lowest level since 2011, a few cases show how small mistakes by institutions can have a big impact. The University and College Union has given the go-ahead for a two-day strike in protest over a 1.1 per cent pay offer from university employers. HEi-know looks at the arguments from both sides, and their assessment of the likely impact of the dispute. The number of private and alternative higher education providers is forecast to triple over the next 10 years according to an impact assessment report on the Higher Education and Research Bill by the Department for Business, Innovation and Skills. Universities must step up now to tackle gender inequality rather than leaving it to the next generation, Professor Paul Boyle, Vice-Chancellor of the University of Leicester, told an international conference. While there will inevitably be concerns about elements of the HE White Paper, modern universities have reasons to be cautiously optimistic about the government's plans, argues Dr Mike Hamlyn, Director of Academic Enhancement at Staffordshire University. An inquiry into science, technology, engineering and maths degrees has raised serious concerns about the employment record of some courses, including biological sciences. Alongside the Higher Education White Paper (see HEi-know Briefing Report 300 ), the government has published three documents related to it, two of which are consultations. HEi-know takes a look at what they contain. Most higher education bodies and leaders have so far given the HE White Paper a cautious thumbs up, but at some point they are going to have to face up to some of the less palatable realities of the government's plans, argues Peter Scott, Professor of Higher Education Studies at UCL Institute of Education and Co-Investigator at the Centre for Global Higher Education. The important and evolving relationship between universities, business and government is in good shape, but all parties must continue to work at it to sustain progress and achieve goals, argues Dr David Docherty, chief executive of the National Centre for Universities and Business. Three quarters of universities across the world are engaging with social enterprise companies to address social problems, according to British Council research. Germany and Malaysia are the two countries best positioned to benefit from continuing growth in global higher education, a study has concluded. Dame Nicola Brewer, Vice-Provost International at University College London, is a keynote speaker on university partnerships at the British Council's Going Global conference, taking place in Cape Town from 3 to 5 May. Media FHE asked her to outline some of the key issues she expects to arise at the event. A “designer handbag” approach to university partnerships based on global rankings is obscuring the real opportunities for partnership between universities across the world with common interests, the British Council’s Going Global 2016 conference will hear. Nearly a third of university applicants wish they had chosen different A level subjects, according to research from Which? University. English university graduates face higher debts on graduation than their American counterparts, and owe more than those in Canada, Australia and New Zealand, according to a new Sutton Trust report. There is little turbulence in this year’s university rankings published by the Complete University Guide, with few big risers or fallers. Employer-sponsored degrees should be given the same support as higher-level apprenticeships according to a new report. Following last week's Institute for Fiscal Studies report on graduate earnings, John O'Leary, editor of The Times and Sunday Times Good University Guide , examines the problems with using data on pay to compare universities. A trend in UK higher education towards more interdisciplinary courses offers significant benefits to students, but also presents challenges to academia, says Professor Jackie Labbe, Pro-Vice-Chancellor, Faculty of Arts and Humanities at the University of Sheffield. Universities and businesses in the UK have received £1.4 billon of research funding from the European Commission since 2014, according to new figures . Post-study work opportunities for overseas students do exist in the UK, despite a popular view that they have all but disappeared. But higher education leaders need to do more to make prospective and current students aware of what is available, argues Jo Attwooll, Programme Manager at Universities UK. Last month saw the passing of the deadline for responses to the Stern Review of the Research Excellence Framework. Professor Nick Talbot, Deputy Vice-Chancellor (Research and Impact) at the University of Exeter, gives his thoughts on the key issues and how the REF could be improved. Universities need to increase the proportion of women on their governing bodies, according to the funding body’s newly published equality and diversity statement and objectives . The Higher Education Funding Council for England has launched a new £90 million outreach programme as a report warned that ambitious widening participation targets set by the government are likely to be missed. School-based teacher training is rated higher than university-led training for quality by both students and Ofsted, according to a new report. New plans for teacher training contained in the Education White Paper Educational Excellence Everywhere have some merit, but need further development: preferably with the help of the university sector, argues James Noble-Rogers, Executive Director of the Universities’ Council for the Education of Teachers. Universities in England face an increasingly difficult financial balancing act, with institutions in danger of suffering an £860 million shortfall against their costs, a new report warns. In National Apprenticeship Week , Professor Keith Ridgeway from the University of Sheffield sets out the case for the continuing development of higher level apprenticeships. His article follows another by Greenwich University visiting lecturer Martin Allen which suggests higher apprenticeships have yet to make an impact. New degree apprenticeships have the potential to help fill skills gaps and meet employers’ needs, according to a new report from Universities UK. The UK’s university sector will face an uncertain future if the country votes to leave the European Union in the forthcoming referendum, Professor Dame Julia Goodfellow has warned. At the start of National Apprenticeship Week , author and lecturer Martin Allen assesses the evolution of higher level apprenticeships, and concludes that they are still a long way from representing an alternative to traditional degrees. Large employers have slowed their recruitment of graduates while significantly increasing their intake of apprentices, a survey has found. Women are beginning to break through the glass ceiling in higher education, with 29 per cent of the latest vice-chancellor posts being taken by female candidates, a survey by HEi-know has found. Female academics in the UK are paid on average £6,103 a year less than their male peers, leaving an annual gender pay gap across the sector amounting to £528 million, a survey by the University and College Union has found. The total income of higher education providers in the UK last year was £33.2 billion – an increase of 8 per cent on the previous year - official figures show. Funding of over £200 million to support PhD students in engineering and physical sciences and boost the UK’s research into quantum technologies, has been announced today by Universities Minister Jo Johnson. The UK is losing its share of the global student market to increasingly competitive universities in the United States and Canada, despite enjoying the highest satisfaction levels in the world among its international students. A series of recent reports have suggested that the UK’s market share is wavering in what is still a fast-expanding global higher education market. HEi-know examines the evidence, and gathers views from around the sector on what is shaping market trends and how UK universities need to respond. If universities are to effectively answer the government's call for them to tackle social inequalities, they need better data to work with and more up-to-date definitions of under-represented groups in HE, argues Professor Emma Smith, widening participation lead at the University of Leicester. The fair access watchdog OFFA has published its latest guidelines for universities on access agreements and told universities they will have to make faster progress on widening participation to meet new government targets. Universities’ efforts to improve social mobility should focus as much on working with employers to prepare students from disadvantaged backgrounds for the workplace as they do on recruiting them, a new report suggests. A new Centre for Global Higher Education , billed as the largest research centre in the world focused on HE and its future development, has been launched in London backed by £6 million funding for an ambitious five-year programme of studies. HEi-think: Social mobility, fairness and academic judgment: What are universities, being asked to do? Following a call from Prime Minister David Cameron for Oxford and other elite universities to publish data on their intakes of Black and Minority Ethnic students as part of a nationwide anti-discrimination drive, University of Sheffield Vice-Chancellor Professor Sir Keith Burnett examines the nature of the HE selection process and outlines what his own university is already doing to ensure it is fair. Over eight in ten school-leavers have their sights set on going to university, with long-term career goals rather than short-term financial gains foremost in their minds, a survey has found. Alan Palmer, Head of Policy and Research at the university think tank Million+, responds to an OECD report that says UK universities are failing to help students with weak literacy and numeracy skills, and funding should be redirected from HE into basic skills training to address the problem. The European Commission’s Erasmus scheme has seen a slight closing of the large gap between the number of students coming to and going from the UK. Universities and science minister Jo Johnson has announced new funding "to put the UK at the forefront of international research and inspire the next generation of world-class scientists". As a new report from the Higher Education Commission calls on universities to catch up with international competitors in their use of learning analytics, Ed Foster, Student Engagement Manager in the Centre for Academic Development & Quality at Nottingham Trent University, explains how his institution is already responding to the challenge. The Campaign for Science and Engineering has strongly criticised government immigration policies, warning that they are creating an unnecessary obstacle to talented scientists and engineers around the world coming to work in the UK. A parliamentary committee has backed government plans to scrap maintenance grants and replace them with loans, as student finance campaigners and Labour politicians accused ministers of introducing the change through the back door by refusing a full House of Commons vote on the move. Following a call from UCAS chief executive Mary Curnock Cook for more action to tackle the under-representation of white males in the student population, Hannah Ordoyno, widening participation manager at the University of Leicester argues that current male students can have a significant impact as role models. The University of Worcester has launched a new executive course in partnership with a private university in Germany. The University of Central Lancashire is to lead a £2 million regional drive to encourage more young people from disadvantaged backgrounds to consider higher education. De Montfort University has established a base at a new business centre in Leicester to foster collaboration between businesses and university experts. The University of East Anglia has doubled its target for philanthropic fund-raising, after raising £53 million in three years. Staffordshire University has launched an exchange programme with the Nippon Sport Science University in Japan, which has produced a number of Olympic athletes. A new research institute which will explore the social and economic impact of culture has been officially launched at the University of Hull. A huge outdoor screen has been put up on the side of a new art and design building at De Montfort University Leicester so students, staff and visitors can watch screenings and presentations throughout the year. The Leadership Foundation for HE has launched a “Governors’ Equality and Diversity Toolkit”, designed to help governors understand the issues and how to develop diversity and equality “in a way that supports the distinctiveness of the institution”. The University of Sheffield is to play a key role in the UK’s new Future Manufacturing Hubs, announced by the Minister of State for Universities, Science, Research and Innovation, Jo Johnson. Business leaders are calling for British universities and the government to step up their links with China. Universities and colleges across England have been awarded a total of £4.5 million to develop thousands of new degree apprenticeships for students starting in September 2017. Sheffield Hallam University has appointed the former head of the Civil Service, Lord Kerslake, as its new Chair of the Board of Governors. The University of Derby has formally opened a new campus created by the conversion of the former St Helena Girls Grammar School, a listed building in Chesterfield. The University of Hull has chosen University Partnerships Programme Ltd as the preferred bidder for its £130 million investment in new student accommodation. Worcester University has paid tribute to health professionals who mentor its students at its annual Mentor Awards ceremony. Students from Nottingham Trent University have taken their “Thinkubator Challenge” to Westminster to try to solve societal problems put to them by politicians. A new partnership between the University of Warwick and i-graduate is set to enable higher education institutions to meet the needs of global employers, thanks to a new diagnostic tool for enhancing student integration. The University of Worcester has become one of a handful of education organisations to gain Centre of Excellence status from the Institute of Enterprise and Entrepreneurs. The University of Central Lancashire (UCLan) has cemented a partnership with an education provider in Malaysia – one of the key host countries for transnational education from the UK. Sheffield Hallam University has appointed Professor Christina Hughes as Pro Vice Chancellor for Student Experience. She is currently Pro Vice Chancellor (Teaching and Learning) at the University of Warwick. Investment banks are failing to hire talented youngsters from less advantaged backgrounds because they recruit from a small pool of elite universities and hire those who ‘fit in’ with the culture, according to a new report by the Social Mobility Commission . The European Commission has recognised the work of the University of Worcester in supporting the career development and management of its researchers. The Higher Education Funding Council for England is calling on institutions to put forward bids for funding of up to £500,000 to run schemes aimed at boosting teaching and learning or at removing barriers to student success. Hull University’s logo is to appear on the back of players’ team shirts and in the stadium of the Hull City Tigers football club in a new promotional deal. The University of Worcester has brought together figures from education, business and politics to look at how the Midlands can be more sustainable. Nottingham Trent University has won two out of six major awards which aim to recognise work to enhance the international student experience. A new Memorandum of Understanding between the University of East Anglia and the Southern University of Science and Technology (SUSTech) has paved the way for student exchanges between the two institutions. Lancaster University is sharing online some of its collection of art works by the Victorian painter and writer John Ruskin, in a new partnership with the Google Cultural Institute. The University of Derby has opened its first-ever outdoor learning space, designed to give students a natural and alternative place to study. Hull York Medical School and the University of Hull have been awarded nearly £870,000 by the British Heart Foundation for research into blood clotting. A new development at Nottingham Trent University has won a national award from the Royal Institute of British Architects for architectural excellence. The Vice-Chancellor of Sheffield University, Professor Sir Keith Burnett, has called for a “Brexit government that backs our plan to rebuild our manufacturing industries of the North”. The University of Leicester is building on the worldwide success of its work on Richard III to launch four new research institutes that will tackle issues of global importance. The University of Leicester has extended its successful partnership with Santander Universities UK to support postgraduate scholarships, enterprise bursaries, summer schools and travel awards. The SHIELD Consortium led by the University of Sheffield, with partners from Edinburgh, Birmingham and Newcastle universities, has received £3.5 million funding from the Medical Research Council to investigate new ways to combat antimicrobial resistance with super white blood cells. The University of Derby, Nottingham Trent University and The University of Nottingham, have been awarded £10.1 million, via the Local Enterprise Partnership from the European Regional Development Fund, to provide support to over 2,000 local small and medium enterprises (SMEs) over three years. Baroness Doreen Lawrence OBE has officially opened Sheffield Hallam University's new £30million Charles Street Building - home of the Sheffield Institute of Education (SIoE). A consortium which includes academics at Staffordshire University, working with Cadscan Limited, has been awarded almost £1 million by the Small Business Research Initiative to develop a new system to produce bespoke insoles to prevent foot ulcers in diabetic patients. It could signal a breakthrough in the preventative foot care available to diabetes patients. Lancaster University has received approval from the Ministry of Education in Beijing to establish a joint institute with its highly ranked partner Beijing Jiaotong University. World-renowned academic and engineer, Professor G.Q. Max Lu, has taken up post as the fifth President and Vice-Chancellor at the University of Surrey, following the departure of Professor Sir Christopher Snowden at the end of last year. The UK government has opened a public consultation on innovation to help it develop a National Innovation Plan to be published later this year. Nottingham Trent University has officially opened its new Future Factory Research and Consultancy Centre, which works with businesses and organisations on projects involving smart design, manufacturing and innovative technologies. The Leadership Foundation for Higher Education has announced the nine winners of awards for small development projects and innovation and transformation projects which were each worth up to £10,000. The University of Kent is part of a new partnership that has secured £9.4 million from the European Regional Development Fund to support UK innovation. Scientists from the Plant Production and Protection Centre at the University of Sheffield have been awarded £1 million from the Wolfson Foundation. A new test to identify patients at risk of sudden cardiac death (SCD) is being developed by researchers at Leicester University and Leicester’s Hospitals following a £183,000 grant from Heart Research UK. Researchers at the University of East Anglia are part of a group which has been awarded £280,000 to develop biomaterials which they say could revolutionise future car production. The School of Chemistry and The Adapt Low Carbon Group at UEA will take a leading role in the project. Former minister and businessman Lord Myners is to be the new Chancellor at the University of Exeter . He has chaired companies including Marks & Spencer and the Guardian Media Group and will take over from Baroness Floella Benjamin when she steps down in June, after ten years. The University of Hull has launched an on-campus centre to help overseas students develop the language and skills needed to study for a degree in the UK. Nottingham Trent University has appointed a new human resources director and Pro Vice-Chancellor for student affairs. A summit held at Sheffield Hallam University has revealed a lack of awareness among employers about the funding available to develop higher and degree apprenticeships . Students at Worcester University will be able to call on the expertise and support of new “Entrepreneurs in Residence”. A select group of successful business people have taken up the unique role at the University’s Business School. The University of Kent is offering an engineering conversion course to allow students who have undertaken previous study in other subjects to transition to engineering careers. Coventry University has appointed two new Deputy Vice-Chancellors. The University of Kent is to stage an international festival of projections on its Canterbury campus and beyond, as one of twelve beacon projects marking the University’s 50 th anniversary. An entrepreneurship lecturer at the University of Worcester has been named among Britain’s top 100 business leaders supporting the next generation of young talent. His Royal Highness, The Prince of Wales, with The Duchess of Cornwall, will present Nottingham Trent University with its prestigious Queen’s Anniversary Prize for Higher and Further Education on Thursday February 25, on behalf of Her Majesty The Queen. A Sheffield Hallam University law and criminology lecturer has been shortlisted for a prestigious law award. New figures show that Kent University and Canterbury Christ Church University made a £909m impact on the local economy in 2014/15, generating 16% of all jobs in Canterbury city – the equivalent of 9,900 full time jobs. Academics from the University of Central Lancashire have been awarded more than £75,000 for unique global sign language teaching research project. The University of Sheffield has launched the UK’s first national centre for university technicians. The naturalist and television presenter Sir David Attenborough has opened a £1.5 million fully-inclusive gallery extension at the University of Leicester championed by his brother Lord Attenborough. The University of Central Lancashire has signed two international agreements worth a combined £6.5 million to deliver courses in the Middle East. The University of Hull has launched a £3 million PhD scholarships scheme. University of Northampton International College has opened its doors in preparation for welcoming students to the University's Park Campus in September. 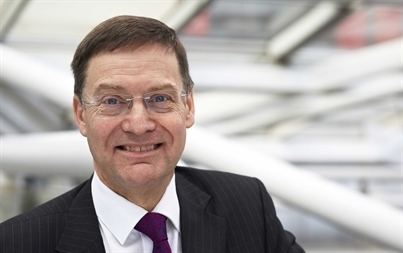 Nottingham Trent University has announced that Steve Denton, former Chief Operating Officer at the Institute of Education, University of London, is to be its new COO and Registrar. Joining him as NTU's new Pro Vice-Chancellor (Employer and Economic Engagement) will be Michael Carr, currently Director of the Greater Birmingham and Solihull Local Enterprise Partnership (GBSLEP), and former Director of Business Engagement and Innovation Services at the University of Nottingham. Sheffield Hallam University has secured a £50,000 grant from Alcoa Foundation to deliver a Science, Technology, Engineering and Mathematics (STEM) skills development programme for more than 300 young people. Her Imperial Highness Princess Mako of Akishino, a member of the Japanese Imperial Family, has attended a graduation at the University of Leicester where she received her Master of Arts degree in Art Museum and Gallery Studies. Scientist at Lancaster University have been awarded £253,000 to focus on the sources and fate of carbon, nitrogen and phosphorus, three chemical elements found in lakes and rivers that are key to the functioning of life on earth. The University of Derby’s International Student Centre has been ranked top for student support in the autumn 2015 International Student Barometer (ISB) for the second year running. The University of Exeter Medical School has received a £1 million donation from The Dennis and Mireille Gillings Foundation towards its work in genetic disorders.